"From the perspective of the Ukrainian theology’s development in Ukraine, this recognition can be considered as a breakthrough as nothing like this has happened before"
On December 6, 2016, a remarkable event in the life of Ukrainian theologians happened. At the meeting of the Commission on State recognition of academic degrees and titles at the Ministry of Education and Science, a decision was made to recognize a diploma of doctor of theology. In Ukraine first recognized by the state, doctor of theology appeared. 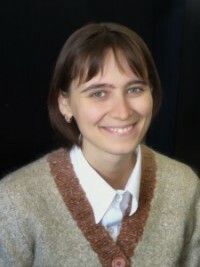 The degree was acquired by Maria Horiacha, who defended her doctoral thesis in 2012 at the Catholic University of Leuven (Belgium). It is pleasant to note that Ms. Maria occupies the position of Projects and Programs Manager at the Institute of Ecumenical Studies. We decided to ask her about the preparational process of recognition and how it feels to be the first doctor of sciences. - Could you please tell us more about the preparation to diploma recognition: how much time have you paid it? Which documents had to be prepared? - Anyone who studied abroad and received a diploma of a foreign sample understands that upon returning back to Ukraine he or she should take care of their diploma nostrification in their native country. I faced this too, as soon as I started my work in an academic environment. But at that time I had not seen any possibility for such recognition. Back then it was hard to imagine such a possibility because in Ukraine there was not even the idea of such a title as a doctor of theology. If I tried to nostrify my diploma at the time, I would have had to find some compromise and give up prospects of receiving a Doctor of Theology. I should have had to agree to a more or less acceptable substitute of the title such as Doctor of historical, or philosophical, or other sciences. Therefore, such prospect was totally unattractive, not to say unacceptable for me. Just after the adoption in 2014 of a new "Law on Higher Education", a hope for recognition of theological diplomas appeared. However, I had to wait another 2 years for the real opportunity until the Commission of diplomas recognition began to function. As soon as I heard about the establishment and first meeting of the Commission, I immediately began preparing documents for my attestation case. The package of documents was fairly standard: copies of diplomas with their translations, a copy of the thesis, copies of published articles and a request from the place of work. So in a week I managed to collect everything and sent it to Kyiv. Then I had to wait 2 months for the Commission's decision. - What difficulties have you encountered during the preparation? I did not have any specific difficulties. It was just necessary to collect and send to the Ministry of Education and Science the documents, and then just wait. However, since the Commission had started working recently, and mechanisms of its work still were being developed, during the review of my certification case a need appeared to supplement it also with an auto synopsis in Ukrainian. So I had in a short time to make a detailed presentation of the main findings of my dissertation. - How do you feel in the new role? Of course, it was nice during the last few days to receive such an incredible amount of greetings and realize the solidarity and support of my colleagues and friends, their sincere joy for me about this decision of the Commission. But I can not say that something drastically has changed in my life. In fact, the Commission's decision was only a recognition of that reality, which is almost five years old. As yesterday, same now I have usual working days, or even quite intense because of the approaching end of the year there is always a lot of work to do. So there is no time to rest on laurels. There is still a lot of projects waiting for their implementation. - For you personally, what does this recognition by MES mean? I think that for me personally, this recognition will bring only more work and perhaps some new responsibilities and challenges will be added. However, from the prospect of development of Ukrainian theology in Ukraine, this recognition can be considered a breakthrough because nothing like this has happened before. The situation with theology resembled a vicious circle: on the one hand, the Ukrainian state did not recognize foreign diplomas in theology, nor offered any mechanism for their recognition, on the other hand, Ukraine had no chance to get a diploma of a higher degree in theology (after bachelor and master). Scholars were as if in some kind of ghetto, absolutely beyond the capacity of normal academic development. Since the beginning of work of the Commission, it seems like the ice was broken, and there is a hope that soon we will have enough of our own candidates and doctors of theology to create our own specialized boards and produce Ukrainian candidates and doctors of theology with state diplomas. It virtually eliminates that absurd situation that existed until recently, when diplomas of Ukrainian theologians were recognized by leading universities around the world except for their own state. So I want to congratulate the work of the Commission and wish it fruitful proceedings and to all the theologians - successful recognition of their diplomas, new achievements and accomplishments.